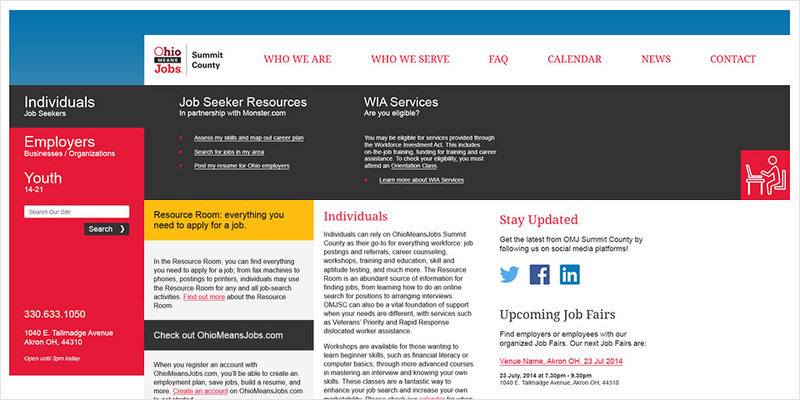 A new user experience for OhioMeansJobs. OhioMeansJobs Summit County (OMJSC) is an all-in-one workforce resource center for residents and businesses in Summit County, Ohio. All of our services are free of charge. Their goal of service-first mentality is to help individuals become equipped for their next job and for companies to find the talent they need to grow their businesses. OMJSC is both universally accessible and incredibly valuable – from free parking to job fairs, financial literacy workshops to executive networking groups, there is something for everyone to gain at OhioMeansJobs Summit County. Summit County received a mandate from the State of Ohio to update all public-facing marketing, to bring it inline with the new government-approved brand. 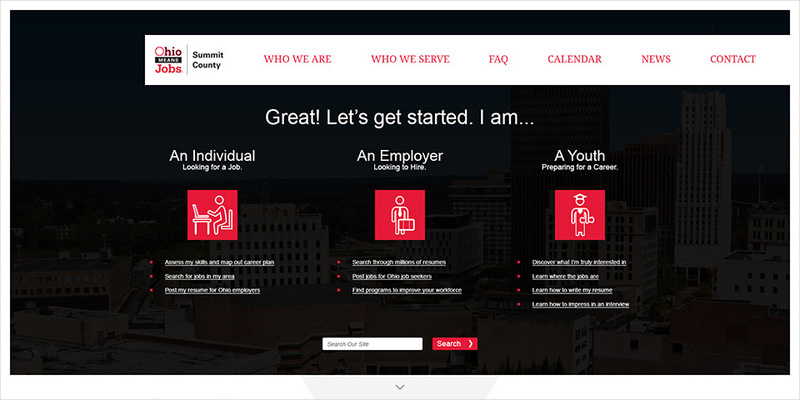 As part of these efforts they launched a website redesign initiative, inviting a handful of reputable web design and marketing agencies to bid on the redesign of their website. Studio1337 was selected from among our peers to be the design company of record for OhioMeansJobs Summit County. 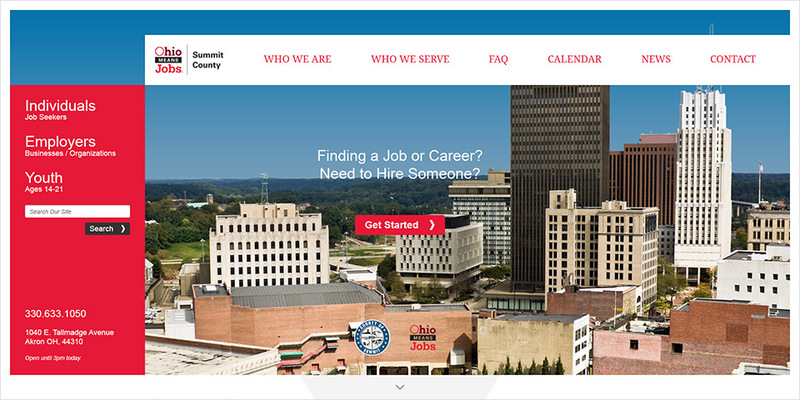 Their previous website lacked focus on the very specific audiences: individuals needing employment and job-seeking skills; Northeast Ohio businesses in search of local talent and youth preparing to enter the job market. Through our design process, we helped them structure their content more effectively. Through our development efforts, we built the tools they need to help their audiences reach the information most relevant to them.